Restored Country homes for sale in Piemonte. Dogliani Near Dogliani & Barolo in The Langhe (ref: 6357)- Two beautifully restored country houses situated in the the heart of The Langhe wine growing region of Piedmont.. Piedmont Properties in Piemonte. Property for sale Langhe and Piemonte. Map for Property ref: 6357, Restored Country homes for sale in Piemonte. 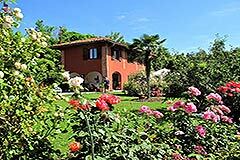 - Two beautifully restored country houses situated in the the heart of The Langhe wine growing region of Piedmont.